Kanyakumari (Tamil: கன்னியாகுமரி) is a town in Kanyakumari district in Tamil Nadu state, India. 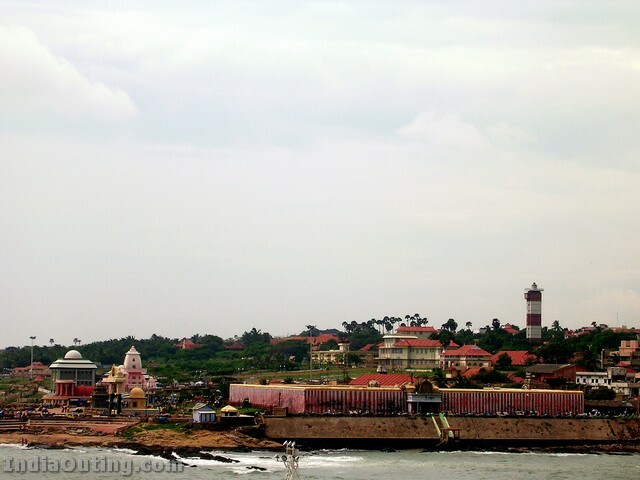 Located at the southernmost tip of the Indian Peninsula, it is also know by its former name Cape Comorin. The closest major cities are Nagercoil, the administrative headquarters of Kanyakumari district, (22 km) and Thiruvananthapuram, the capital of Kerala (85 km).A popular tourist place in India, the town and the district, Kanyakumari District, in which it is located, is a place of great natural beauty – from the blue seas of Kanyakumari town to the blue hills of the Western Ghats in the interior. Kanyakumari takes its name from the Kumari Amman or Kanyakumari Temple, situated in the town, on the sea-shore, the very confluence of the three water-bodies – Bay of Bengal, Indian Ocean and the Arabian Sea. In his work on ancient India, Ptolemy had identified Kanyakumari (Cape Comorin) along with the Gulf of Mannar as a centre for pearl fishery. He also identifies Korkai, a place to the east of Kanyakumari as an emporium of pearl trade. Thiruvananthapuram (Trivandrum) of neighbouring state Kerala, is the nearest international airport, with direct flights from the Middle East, Singapore, Maldives and Sri Lanka. And is served by Air-India, among others. From there it takes about two hours by train or bus or taxi. The taxi charges are pretty cheap, about Rs 9-10 per km, and should be around Rs 1000 (US$22 Approx), for a trip to Kanyakumari from the Thiruvananthapuram International Airport. Alternatively, if you cannot reach Thiruvananthapuram directly from your place, you can reach Chennai (Madras) the state capital and then take either train or bus to reach Kanyakumari. Note that travelling to Kanyakumari is a bit tiresome via road, especially for Westerners, as the travel time is about 14-15 hours and the climate is pretty hot (30-35 degrees during summer and 25-30 degrees during winter) through out the year. Insist on a II tier air-conditioned coach as this is pretty cheap, about Rs 1200 (US$27). A local flight travel to Thiruvananthapuram is also a viable option, but the ticket prices are slightly higher, ranging from Rs. 1500 and can go up to anywhere around Rs. 5000. In India, the faster you book/plan your travel, the more you save on tickets. Alternatively reach Kochi, Kozhikode (Calicut), Bangalore, Bombay, New Delhi, Kolkata and then by train. Very well connected and serviced by rail to all major cities in India like Chennai, Trivandrum , Kochi, Bangalore, Bombay, New Delhi, Kolkata, Coimbatore etc. And from here starts second longest train route in the world, Kanyakumari to Jammu. By busBuses are frequently available from Thiruvananthapuram,the closest major transport hub. Long distance buses are available from Chennai (Madras), Coimbatore, Madurai etc. Most people travel around Kanniyakumari using a hired vehicle. Auto-rickshaws (tuk tuks) are available, along with busses. As such there is nothing much to see. Its very congested and crowded, hot & humid, filled with various people and shops who sell all types of fake elctronic goods, poor quality toys, cheap trinkets and other knick knacks. Never buy any electronic items or cheap googles from here. The beaches are dirty. Various structures have been built by tourism department with aim of improving tourism here. There is something called sunset point, some kind of garden and other crudely made structures. Nothing is worth wasting your precious time. If you can escape from these crowd you can visit Vivekanandapuram (only peaceful area in Kanyakumari) maintained by Ramakrishna Mission. It has got its own lodging and boarding arrangements.If you like to see sunset or sunrise it is recommended to observe it from the beach at Vivekanandapuram. 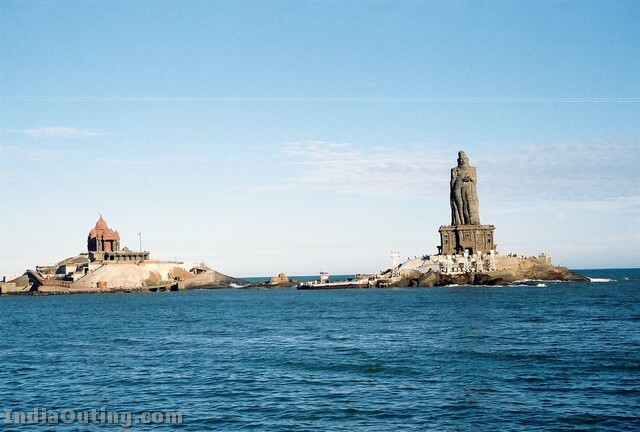 The another popular place are the Kanyakumari Devi temple, Vivekananda rock and the Thiruvalluvar Statue. 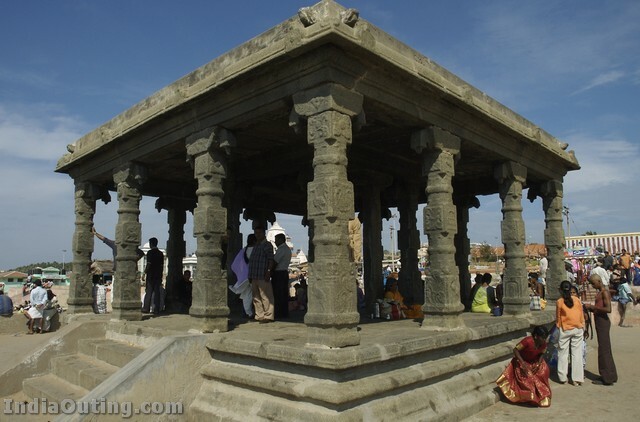 It is not recomended to visit Kanyakumari in December-January, the crowds are at its peak during these months. 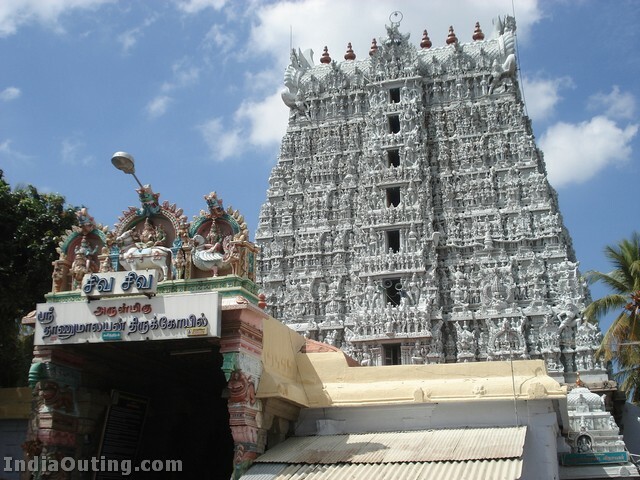 The temple of Goddess Kumari is rather small by South Indian standards, but comes with the usual ingredients of Pujaris (Hindu Priests), Poojas, Kumkums, and Prasads (sweet offerings made to Gods). All men are supposed to enter the temple with bare torsos as it deemed to be a mark of respect to the Devi. You should be careful about the touts in the temple. Vivekananda Rock is about a hundred meters from the shore and a regular ferry service exists between the mainland jetty and the rock. The tickets is 20/- for a ride. The Rock has two Mandaps (halls); one belonging to Swami Vivekananda and the other belonging to a Holy Foot. The Holy Foot is a foot shaped carving found on the rock and is believed to be a foot print of Goddess Kumari who stood on this rock on one leg and performed the Tapasya (penance). The Rock memorial has a tall statue of Swami Vivekananda whose photographs are not allowed to be taken from inside the hall. Below the statue was mentioned the year of death of Swamiji and the “probable” dates when Swamiji attained Samadhi on the rock. Here you can see both sunrise and sunset and is one of the main tourist attraction here. Golden Hues of the Horizon are very impressive with the Rock Memorial silhouetted. 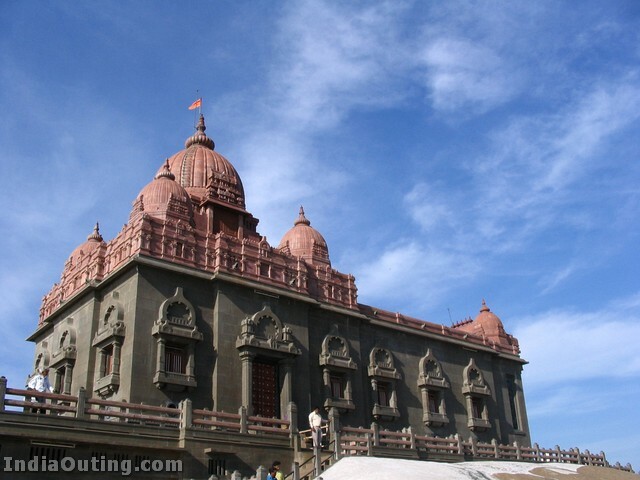 Vivekanandapuram is the headquarters of the Vivekananda Kendra and the centre spreads over an area of 100 acres. There is a well stocked library within the premises of Vivekanandapuram. It is well connected. Buses are also regularly available from Vivekanandapuram to Kanyakumari. 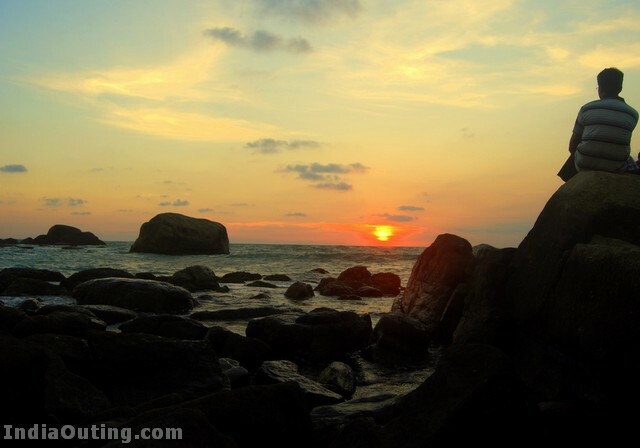 One can enjoy absolutely breathtaking views of sunrise from the beaches of Vivekanandapuram. It has got its own boarding & lodging facilities, a post office & a bank in its own premises. Thiruvalluvar Statue is dedicated to arguably the greatest Tamil poet, philosopher and saint – Thiruvalluvar. The rock supports a huge statue of the saint carved out of many rocks that were then joined together. It was inaugurated fairly recently. 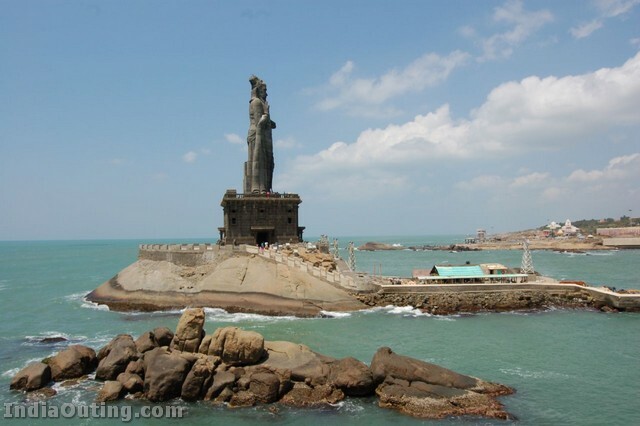 The statue is about 133 feet long which corresponds to 133 chapters in the greatest epic written by the saint – Thirukkural. Tourists can climb up to the feet of the statue. The view from this point is quite breathtaking! It is a very entertaining and enlightening piece of work and inspires one to lead a very principled and moral life. It is a must read for anyone who visits this place and it is advisable to spend at least half an hour specially dedicated for this exercise. 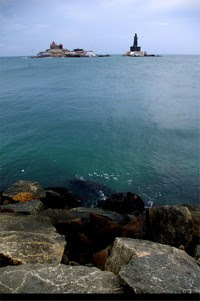 Such is the beauty of Kanyakumari that lot of people find themselves attracted to it. Mahatma Gandhi too could not resist its charm and there is a place here dedicated to him called Gandhi Mandapam. This is the place, as told by locals, where one could witness the ‘Sangam’ (confluence) of the three oceans! Gandhiji arrived here and succumbed to the beauty of the place as described in his beautiful words inscribed below his portrait in the Mandapam. After he died, his ashes were brought to this place and kept before they were discharged into the sea. The Gandhi Mantapa is engineered in such a way that, at the place where the ashes were kept, stands a small stone which is said to receive the Sun’s rays only on the 2nd of October, Gandhiji’s birthdate, every year through a small hole on the roof. 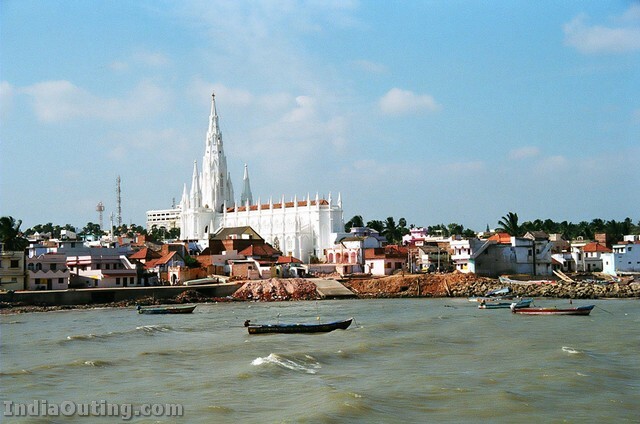 Our Lady of Ransom Church – Located on the shoreline of Bay of Bengal the 100 year old Church of Our Lady of Ransom is dedicated to Mother Mary. The Church that is one of the most beautiful church of India, looks beautiful against the backdrop of the beautiful blue sky. The Church of Our Lady of Ransom is built in the Gothic style of architecture with a strong Portuguese influence. The Church slightly off white in appearance has three massive towering spires and stained glass windowpanes contributing to the overall grandeur. Another attraction of the Church is the Central Tower. It is 153 feet high and is crowned with a Cross of pure gold. (Intersting to note that the dimesnsions of the Church structures are based on the count of beads in the rosary! There are few things about the Church that makes the visitors gasp with awe as they enter inside. The Church boasts of a beautiful statue of Mother Mary clad in a Saree. Surprisingly, as compared to the grand and ornate exteriors, the visitors are quite taken aback by the simplicity of its interiors. There is just a tiny Cross that adorns the Altar. There are no church benches and the masses are held inside the church in normal days and outside on the clean sands during carnivals and occassions. The prayers are held in Tamil considering the parish here mainly comprises the local fishing folks. However the English masses are conducted of late. Watch out for the 10 days carnival festival during the second week of December every year. It is vibrant and colurful with the fishing hamlets of other nearby places and other religion people celebrate together. Padmanabhapuram Palace erstwhile palatial residence of the rulers of Travancore. Made entirely of wood. It lies an hours drive away from Kanyakumari city on the border between Tamil Nadu and Kerala state. It is actually maintained by the Kerala government. Kamarajar Mani Mantapa Monument was raised and dedicated to a freedom fighter and Former Chief minister of Tamil Nadu, President of Indian National Congress, Mr Kamarajar. He’s also popularly known as Black Gandhi among the masses. Like the Gandhi Mantapa, this place is where Kamarajar’s ashes were kept here for public to pay homage before immersion into the sea. Baywatch is a water theme amusement park at the sunset point, and home to India’s first wax museum. Tsunami Monument A momument recognizing the tragic events of the 2004 tsunami which claimed the lives of many Kanyakumari denizens exists near the south shore. The monument is made of uniquely colored items such as a wave, a flame, and human hands, together. Vivekananda Rock memorial has a special meditation room which is absolutely quiet. One could meditate there. 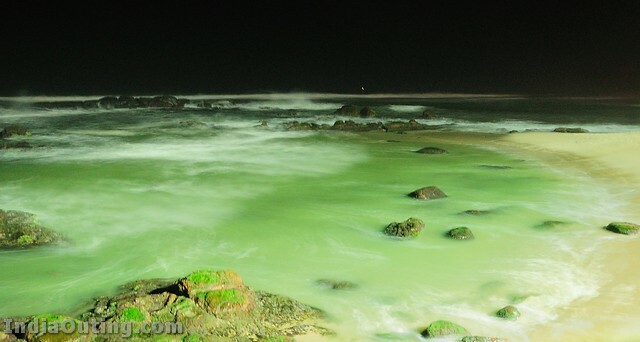 People also wet their feet on the shores of the ocean before entering the temple as the waters considered sacred. Bathing is banned in many part of the beach(though you may find some people bathing) due to a number of tourists dying each year due to the powerful ocean waves. 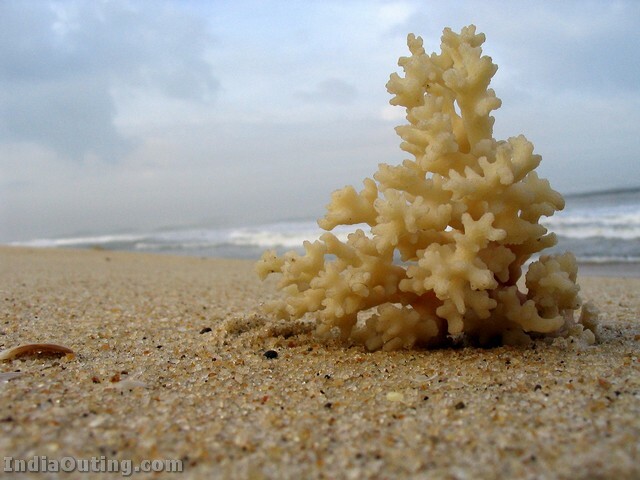 For bathing in the sea, consider Vattakotta (Meaning: Round fort) beach, situated about 6 km from Kanyakumari. Naked bathing or bathing with bikinis are a taboo not only in Kanyakumari but also in nearly all beaches in India. Beaches in Goa and Pondicherry, are a bit different, as a majority of people visiting there are foreigners. Tourists can buy a lot of interesting items ranging from, straw hats, conches, sea shells, cheap electronics etc., There are some small shops where one can get a customized conch with name or quotes inscribed. These items can serve as a memorable item of your trip. Electronics available at Kanyakumari are dead cheap but, since all of them are imported from china, the quality of them are always sub-par. It’s always good to avoid the electronics shops and the associated hagglers. Hair bands and clips made of coconut shells are worth the money and you may have to ask one for to the shop keeper if one is not available at the display. Star fish shells (for decorating your indoors), sea shells of various sizes, kaleidoscopes, colourful sand packets(not artificially colored), collected from different parts of the beach, used specially for decorating your indoor showcases, are also available. The cost of majority of these commodities range from Rs 20 (0.5 US$) to Rs 50 (1.1 US$), and never cross a 100. A beautiful presentation! 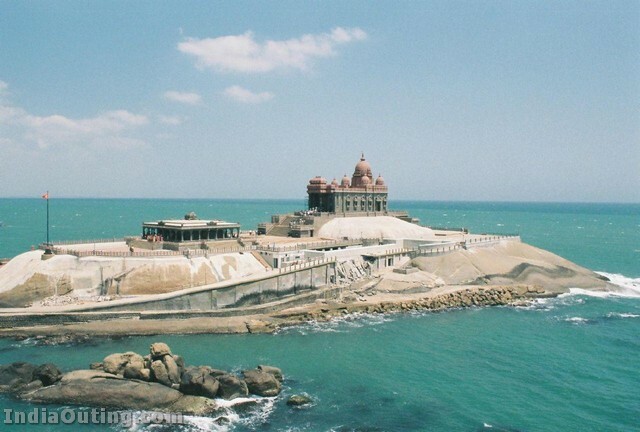 Kanyakumari, the tip of the Indian peninsula, is a dreamland one will never forget. Really wonderful, inspires us to visit the place. out of the blue it is a refreshing change. Very good idea and coverage. beautiful sites for the tourist. VERY VERY BEAUTIFUL. YES, I HAVE BEEN THERE, BUT ITS ALSO A GREAT JOY TO SEE BEAUTIFUL PHOTOS. It is very nicly explained about the site. OMG! its a wonderful place. This is really wonderful and truly GODS OWN LAND. lIKE TO VISIT SOON. 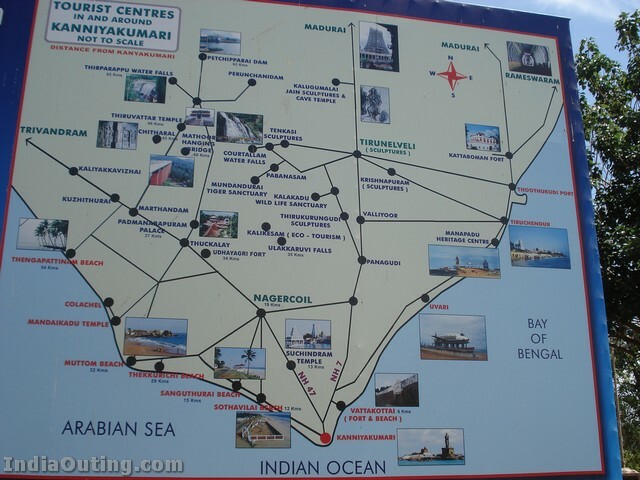 Well, Very good Information about Kanyakumari. This will be very helpfull for me and others who likes to visit there. Thanks a LOT SNEHAJI. Keep touch with us. That’s why we called it India Its really beautiful. If got chance we will visit there. See the sun raise and set. Nice clips. Incredible and lovely. Thanks a lot. Bring out more. It looks beautiful and multicultural. I would love to be there one of these days!! Its most beautiful pictures of Temples and sea shore and specially sunset. Sare Jahan se accha HINDUSITAN hamara hamara ……. Sare jahan se accha HINDUSITAN hamara hamara ……!! Really marvellous picturesque. Beautiful natural scenery. ‘Kanyakumari, is one of the best places to visit on summer time’ is the place that the really culture n tradition people in Tamil Nadu……. Very nice pictures,all Indian has to see.I try see in my next visit. Very cool post, I totally agree with you! Anyway, I find your style very cool, I’ll add it to my website 🙂 Keep up the posting! 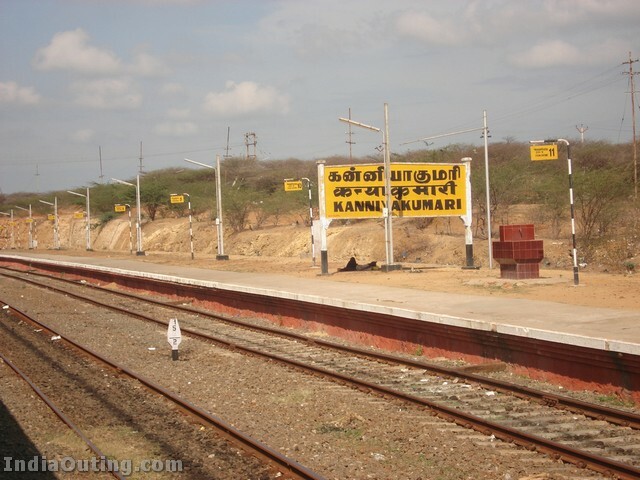 I use to travel to Nagercoil in K.K.District since last 10 years . Its wonderful place where green is dominant everywhere . The place where you can feel both goods from culture of Tamilnadu & Kerala. Its also known for civic sense which you feel most particularly when you are moving from Ahmedabad which is reverse on such front. Sorry to say I have not senn any details of Gandhi Mandapom in the site. However, the photas are excelent. 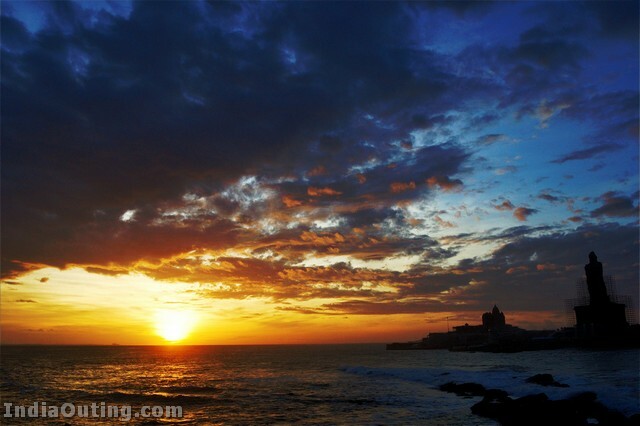 At certain points, we can see sun rise in the morning and sun set at evening.which is the speciality of Kanyakumari. There are two places in India, both of which I have visited, one the Himalayas,with neck breaking height, and the other Kanyakumari,tip of the land with sea on all the sides with deep water mixing with blue sky. Every person gets humbled at these places whatever be the wealth, position, authority, popularity in live. very frequent visits are needed to bring us back on rails and to realise we are just an iota in this vast space.